Leading Internships for New Knowledge, or LINK, is a program at AHS that allows all students to go on a three week internship during the May of their junior year. LINK gives students a chance to test-drive a potential career before they make decisions about post-secondary education. Where did I do my LINK? I was fortunate to be able to do my internship in the United States House of Representatives! I travelled to Washington D.C. and lived with two host families (which also gave me the experience of living in a city). At the House, I primarily worked with the CAO, or the Office of the Chief Administrative Officer. The CAO is not widely known to the public because they provide administrative support to the members of Congress and their offices. One of their jobs is to facilitate the Congressional Transition; my project and most of my work revolved around preparing for the Transition this November. In less than two weeks, I will fly to Washington D.C. to begin my internship with the Office of the Chief Administrative Officer of the House of Representatives (CAO). Suffice to say I'm very excited to live in a new city, meet dozens of people, and dip my toes into the enticing world of government, but I'm also slightly terrified. I've never flown by myself, never dressed professionally every day, never lived with another family for a month. There's going to be a steep learning curve! I was very lucky to find my internship; some of my peers were rejected 30 times before they met their mentor. I contacted Senator Michael Bennet's internship staff, and they were interested in hosting me for my internship. But I also contacted Jay Eagen, a family friend and former CAO, because I knew he had contacts in Washington D.C. which is where I really wanted to spend my LINK. Jay connected me with his former colleagues at the CAO, and I was able to arrange an internship with them. John Clocker, my mentor at the CAO, also put me in contact with the office of Representative Fred Upton. I had an interview with his office and it seemed like they also might be willing to host me, but I decided to stay with the CAO. I decided to seek an internship in government because I am interested in studying political science and international relations in college. The summer before my sophomore year, I attended the Colorado Student Leaders Institute. This was my first exposure to political science; at the institute, we completed a political science course and did related projects. I realized that being a political leader is a position where one has the ability to affect positive change in thousands of people's lives. That revelation sparked my desire to be a public servant. The CAO is a non-partisan office. They don't handle any legislation, they just provide member services such as finance and payroll, information resources, workplace training, etc. 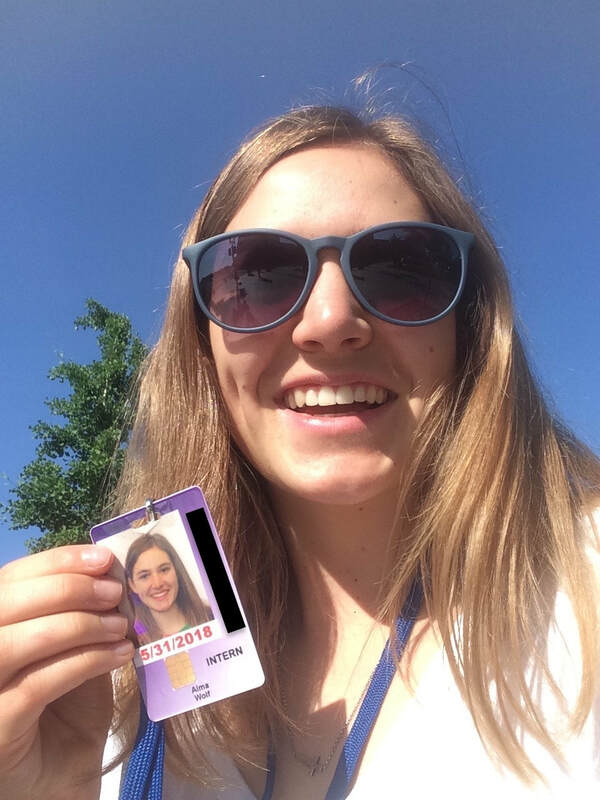 If I work in government, I hope to be involved with policy-making; however, I chose to intern at the CAO because I knew it would be a unique experience that would allow me to make connections and learn about the inner-workings of government. Also, the CAO hasn't had a high school intern in years. I hope this will afford me some opportunities not available in offices where there are three or four other interns. After I found my internship, I had to find a host family; again, Jay Eagen and his wife Cathy were immensely helpful. They connected me with Cathy's sister, who lives in Arlington. I will stay her and her husband for one week during my internship. My college counselor connected me with her best friend, who also lives in D.C., and I will stay with her and her family for three weeks during my internship. I hope that I come away from my internship with much more knowledge about the federal government. In preparation for my internship, my mentor recommended that I learn about the hearing system in the House--I had no idea of the role of committee hearings in passing legislation. Being in D.C. on Capitol Hill will teach me even more about the mechanics of government, but I'll learn through experience rather than lecture. This experience will be very valuable when I choose to pursue a career in government. 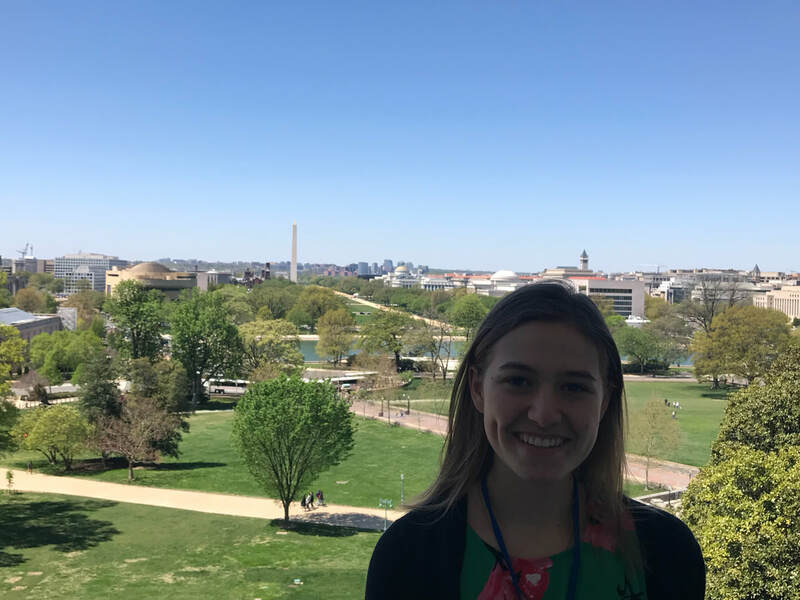 I also hope to come away from my internship with a lot of connections in D.C. Hopefully, this experience will open doors for future internships and opportunities in D.C. Going into a situation like this is intimidating. I'm just a high schooler with dreams--what could I possibly contribute to a government office full of professionals? Well, I'm going to bring my relentless drive and charisma. I'm going to bring my developing knowledge of politics, my writing skills, and my hunger to learn. I'm going to do my best to communicate clearly and build relationships with the people I meet, and try to help them in any way possible. I'm going to ask questions, even if they might be silly, and I'm going to volunteer to do things outside of my comfort zone. This is a once-in-a-lifetime opportunity, and I'm going to make the most of it. I hope that I leave an impression of hard work, leadership, and dependability in the minds of my colleagues, and I hope I'm able to help the CAO with whatever they ask of me. It's impossible to put into words my appreciation for the community members that have helped me with my internship. I have no idea what's going to happen when I go to D.C., but I know I'll come away with invaluable knowledge about myself (and government work) that will help inform my decisions for years to come. 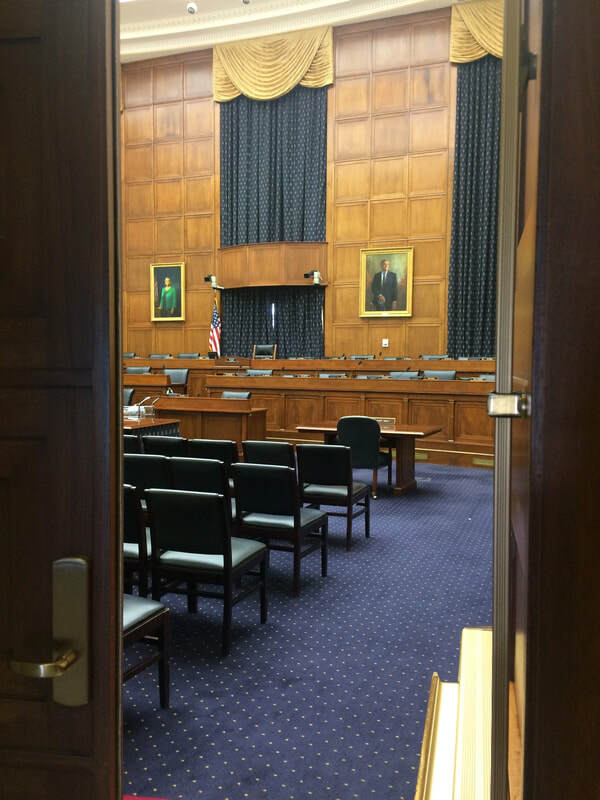 Every two years, when one Congress ends and a new one begins, there are a series of tasks, briefings, and classes for the departing members, returning members, and new members. This is known as the Congressional Transition. In the past, the Transition has been executed based on internal knowledge; employees of the Immediate Office of the CAO and other representatives from various business units based Transition activities on what they could remember from the past. 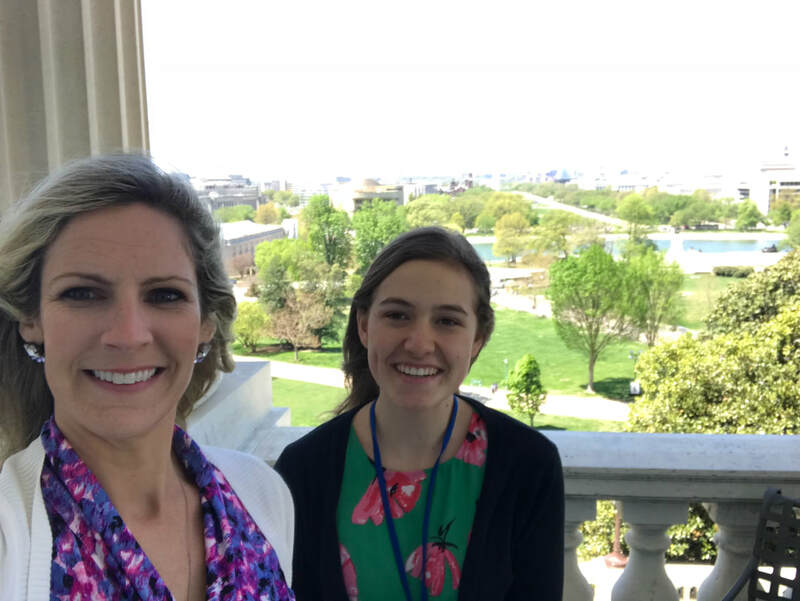 This year the CAO brought on my mentor, Katie Ryan, to organize and document everything that goes into preparing for the Congressional Transition. The project that I worked on throughout my internship was also related to the Transition: I updated and completed a master spreadsheet called the Transition Content Matrix. The spreadsheet documents all of the content and pages of the 116th Congressional Transition website, as well as the business units associated with the content and the Subject Matter Expert Points of Contact (SME POC). I cataloged the Departing Member and Returning Member sections of the website in my version of the matrix. The Transition Content Matrix will continue to be updated as Katie and her team get closer to the Transition, but the current document provides a baseline for them to work from. I am certain that I will draw on my experiences from LINK throughout my entire life. 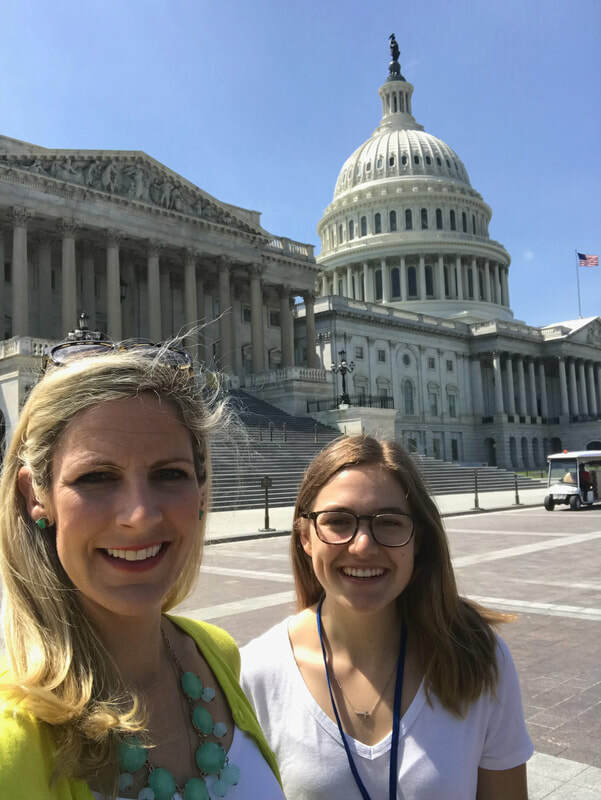 Even now, less than a week since my last day with the CAO, it seems surreal that running around Capitol Hill and being involved with the United States House of Representatives was my reality for four weeks. Every day, I learned more than I thought possible; I met hardworking, smart people that inspire me; I appreciated the hard work our legislators do. From the moment I started my internship, my communication and conversational skills were essential. I was introduced to dozens of new people, all adults, who were curious about my background, my goals, my internship, and always, my knee (I had LCL and proximal tibiofibular joint reconstruction in February 2018, so I had to wear a knee brace every day). I was always able to engage with these adults and speak to them in a professional manner. One such conversation was with a man named Dan Weiser, who is the director of Marketing and Communications. After talking with me for a few minutes, he asked what I was studying in college. He was surprised to learn that I was only a junior in high school! Before my internship, I was nervous that my mentor would ask me to do something and I wouldn't have any idea how to do it. Fortunately, this never happened because she explained things very thoroughly; however, I learned that it is important to know how to figure things out for yourself. Katie is a very busy woman and I didn't want to bother her with questions, so I used different resources to find my own answers. For example, I had to write in the names of Subject Matter Expert Points of Contact for my project. Although I didn't know the names of all the SMEs, I was able to use the staff directory on CAO's Intranet, CAOnline, to fill in the proper names. This is one transferrable skill that I've taken away from my internship. The people that work at the CAO know essentially everything there is to know about the House of Representatives--who to call to get the carpet cleaned, or your computer fixed, or a picture framed; what kind of furniture you can have in your office, where to go for dry cleaning, what forms you need to fill out to close a district office. In that sense, the greatest challenge I faced during my internship was my lack of knowledge. There is no way that I could have had this sort of knowledge before my internship, so no one is at fault. The specialized nature of the CAO just meant that I had to learn acronyms, business units, and various other minute things in order to be productive in my role as an intern. Whenever I had the chance, I asked my colleagues at the CAO where they had gone to college and what they had studied. Let me tell you—no one there had a degree in political science (although one had a degree in International Business). My mentor studied psychology, which she doesn’t use at all in her job, and another man that I sat next to hadn’t even gone to college. One of my biggest takeaways from my internship is the wide variety of educational backgrounds of the people that work at the House. I’ve realized that I don’t have to go to a prestigious college and get a political degree in order to work on Capitol Hill. On the second to last day of my internship, I had a meeting with my two mentors. We talked about my project and what I had learned over the course of the internship, and they gave me some advice. One of them said, "I strongly don’t recommend you study political science. Study something else and develop a profession, then bring your skills back to the House. Politics can be a hobby." His comment stopped me in my tracks--what would I study if not political science? My whole conception of government work was reframed. I've realized that I should play to my strengths and study something that I’m passionate about, then bring my expertise to benefit the House. 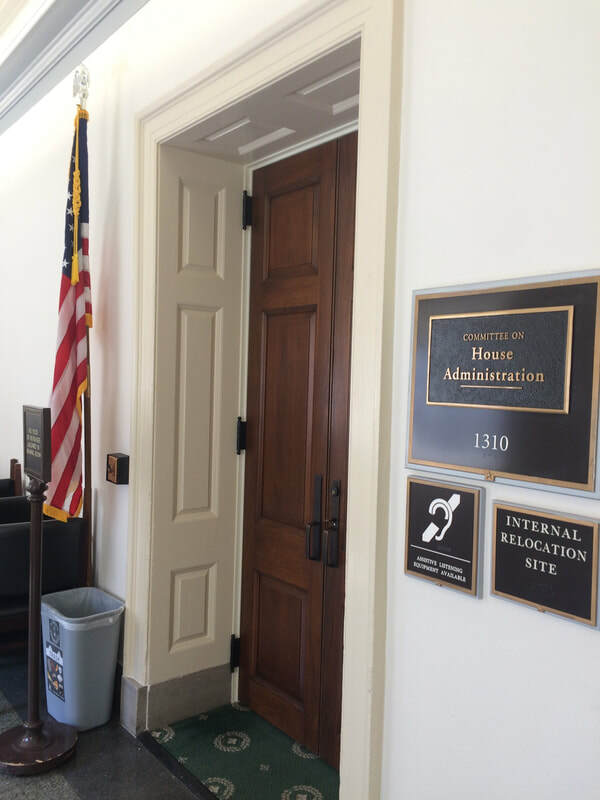 I loved working at the House—it’s an exciting place, filled with activity and unpredictability (wow, is that Rep. Scott Tipton I just saw wearing jeans in the hallway!? ), and I know I want to work there again. So, my internship confirmed that for me. However, now I don't know what I want to study in college. At this point, my plan is to go to a college or university where I can explore a variety of subjects. I am also planning to apply to the Naval Academy and the Air Force Academy. I hope to study abroad at some point during college, so I can gain the valuable perspective that only comes from immersing yourself in another culture. Overall, my LINK internship taught me more than I knew possible. I can even recite the names of the Chairmen and Ranking Members for all the the House's standing committees. It was pretty much everything that I dreamed it to be, and more. 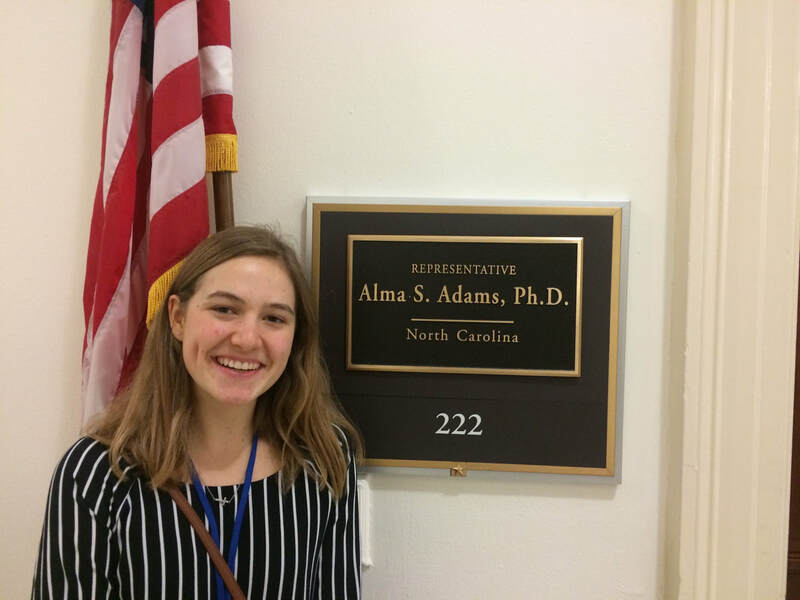 I am so grateful to Animas High School for this outstanding opportunity, and to Jay Eagen, John Clocker, and Katie Ryan for helping me along the way. Last day selfie with Katie! The Committee on House Administration oversees the operations of the CAO.